Let’s start with an obvious observation. These factors and others make the Amazon FBA opportunity nearly impossible to ignore as a premier online business option. FBA stands for Fulfillment By Amazon. Most simply stated, you can ship your goods to Amazon warehouses and Amazon will sell and ship the product to the end customer for you. You never even have to see or touch your inventory if it comes straight form a supplier or manufacturer! It’s one thing to understand what FBA is by reading Amazon’s own description of the program, but it’s another matter entirely to build a successful, scalable, sellable business on the platform. How much bigger will FBA grow? FBA is in its infancy. 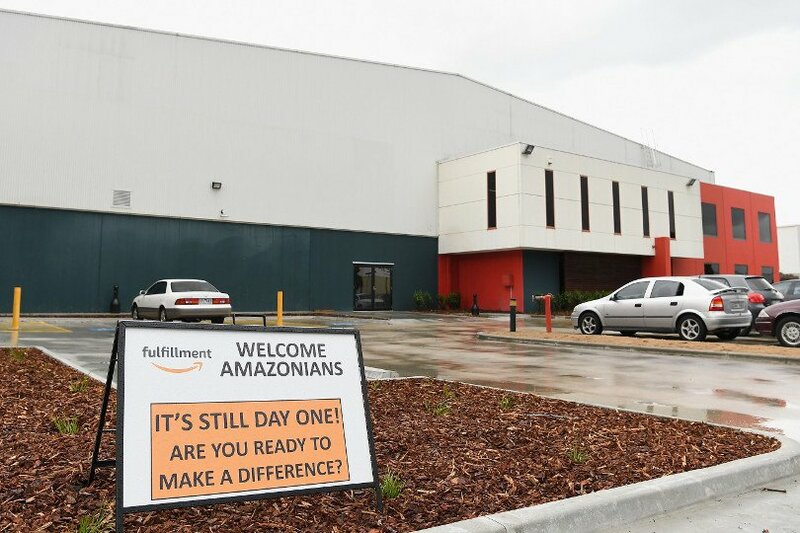 Amazon is building warehouses globally and is set to open soon in Australia as its latest conquest. Consider these facts as well: According to U.S. government data, retail shopping online is still less than 10% of all retail spending in the U.S., but that number is projected to grow rapidly in the coming decade and could easily reach 25% in that short time. In other words, most of the growth in e-commerce and Amazon FBA is yet to come – and it’s coming rapidly! Unless there is a major disruption of current trends, Amazon is clearly set to see incredible annual growth for years to come. That serves to substantially benefit those who are building FBA businesses on the Amazon platform. The opportunity is truly global as well because as an FBA business owner you can use our extensive network of partner services that accommodate every possible challenge in moving your inventory to where it needs to go. Which FBA strategies are hot? There are numerous ways to succeed with an Amazon selling business. Opportunity is abundant because customer spending continues to escalate on Amazon! Our FBA training team is delighted to have been contacted by Flippa in order to form a partnership that benefits those who wish to start or grow with the FBA model. The Filppa leadership indicated to us that numerous Flippa.com users were making inquiries in recent months on the topics of buying, starting or growing an FBA business. As a result, Flippa began to research extensively and eventually came to the conclusion that we were the perfect FBA educational partner for their community. We are of course honored to form this partnership in order to better serve those seeking success with FBA. No one in the world has served Amazon selling professionals (aka FBA sellers) for as long or as successfully as has the creative team behind the Proven Amazon Course. We have our own publicly disclosed 8-figure online selling accounts that demonstrate our depth of knowledge of the platform. We’ve received over 1,000 documented success stories as well which all credit our coaching and course for having helped establish and grow incredible Amazon FBA businesses. We are delighted to partner with Flippa, and we’d love to hear from you if you are interested in learning more about launching or growing an Amazon FBA business. About the author: Jim Cockrum is a best selling web marketing author and a seasoned Amazon FBA expert. His courses, books and coaching are the foundation behind thousands of Amazon seller success stories. His industry leading course located at ProvenAmazonCourse.com contains numerous comprehensive modules for both beginner and advanced online sellers who are either launching or growing an Amazon FBA or Amazon merchant fulfillment business. The latest update of his book, “Silent Sales Machine – 10th edition” is a consistent top 10 seller on Amazon in numerous e-commerce categories. I’m joined today by both Alan Peterson and Kurt Hansen, the buyer and seller of an Amazon FBA business that was sold on Flippa for $82,500 via Buy-it-Now. This private label FBA personal care products business has 6 total products with a 4.7-star average review. The business generated $32,000 profit over the trailing twelve months and included the Amazon Seller Central Store, Amazon Vendor Central Store, and $25k of inventory at cost. 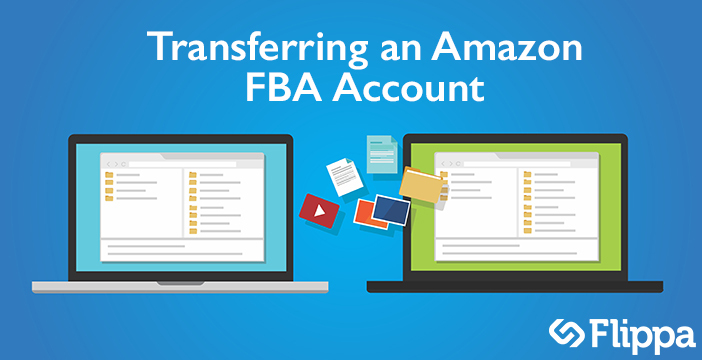 It’s no secret that Amazon doesn’t like talking about transferring Amazon FBA accounts. In fact, their terms of service technically does not allow FBA accounts to be transferred, but this hasn’t stopped people from being able to buy and sell their FBA businesses. Our goal at Flippa is to remove the barriers between buying and selling of all online businesses, including Amazon FBA businesses. In one of our more recent sales, we worked alongside Amazon Seller Central representatives and were able to capture the exact steps necessary to transfer an FBA business. The first step is to update the primary email of the account over to the new owner. This can be accomplished by going into your account settings and under the related links section, selecting “Login Settings”. Once you’re on the Login Settings page, you can edit the primary user email ID and password. It is recommended to discuss with the new owner which email they prefer using, and then setting the password (and making sure to write it down!). Now that a new email and password has been set, the new owner should be prompted with an email saying the account has been transferred to them. Now provide the login information to them, as they’ll need to finish out the rest before the transfer is complete. Now that the new owner has control of the account, it is up to them to complete the tax interview. This is standard process when updating the business information of an FBA account. The tax interview can be found by going to account settings page and clicking “Legal Entity” within the Business Information section. Once the tax interview is completed, the new owner will need to update both the “Deposit Methods” and the “Charge Methods” which can be found on the Account Settings page underneath the Payment Information section. Once these three items have been completed, the new owner will now have full control of the seller account! I would like to inform you that the seller of a particular account can provide all the authority over the account to someone else by simply updating the primary email address and re-taking the tax interview and updating the bank and credit card information of the other person to whom you would like to sell. Kindly know that, to update the primary user email ID, all you have to do is go to account settings> Login settings (under ‘related links’) section. Once the page is opened, you can edit the primary email ID and the password. You can update the primary email ID section with that of the email ID of the person that you wish to sell to. Secondly, ask the other person to go through the tax interview once again (tax interview is nothing but the initial process that you had to undergo to update the business name.. etc..) in the Legal entity link under the ‘Business information section in the account settings page. Once the other person completes the tax information, he can go ahead and update the bank details and the credit card details in the ‘Deposit methods’ and the ‘Charge methods’ respectively under ‘Payment information’ section in the account settings page. Once the other person completes all of this process, the account will be under the other person’s control with the bank, credit and email information all will be under the other person’s name. It’s important to note that the transfer process may differ depending on the circumstances of each Amazon FBA business. It is always recommended to contact Amazon Seller Central before transferring ownership of an FBA business. Have you ever transferred or received ownership of an Amazon FBA business? Let us know in the comments what your experience was! 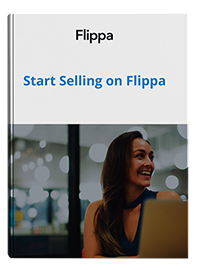 We’re excited to announce that we have just launched our new Amazon FBA section within Flippa, meaning buying and selling Amazon FBA businesses is now easier than ever! Each Amazon FBA business listed on Flippa has undergone a full due diligence check from our Marketplace Integrity team and will be assisted by our account managers to ensure the smoothest possible transaction. FBA stands for “Fulfillment by Amazon”, meaning that a seller sends his inventory over to Amazon to be stored at their warehouse. From there, when an order is placed for your product through Amazon, they will handle all packing, delivery, customer service, and returns of the seller’s inventory. For more on how it works, you can view Amazon’s own guide to Fulfillment by Amazon services by clicking here. This fast-growing technology FBA business generated $18,000 in monthly revenue on $11,400 monthly profit in August alone! Operations require just 3 hours of work per week to manage the seller account and ensure all 3 products are properly stocked. FBA Business selling outdoor & boating equipment and generating $200,000 in revenue over the trailing twelve months. The business is largely automated and is looking for a new owner wanting to take the FBA business to new heights. This business sells unique novelty t-shirts through the Amazon Merch program and generates $150+/month with little upkeep. Established FBA Business selling a variety of home decor items and generating $5,500 monthly revenue on $1,100 monthly profit. The seller account has a 100% positive rating over the last 12 months from 121 reviews, and requires just 2-6 hours per month to operate. Keep watching our FBA section of Flippa here to view these listings, and the many more listings coming soon! If you’re interested in selling your Amazon FBA business and being featured in our Amazon FBA section of Flippa, please fill out our expression of interest form here! It’s an exciting time for us at Flippa and we have no plans on slowing down. If you have any questions surrounding the Amazon FBA section or wish to provide suggestions on what we should focus on next, please reply to this email or email [email protected]! With the upcoming launch of our dedicated Amazon FBA section within the Flippa marketplace, we address some of the top questions surrounding Amazon FBA businesses! Amazon FBA’s are different from the dropship eCommerce model of business, as you need to supply the product to Amazon warehouses before an order is placed. Fulfillment Centers: All orders are packaged and shipped quickly to customers. Watch your workload decrease, allowing you to focus on bigger parts of the business. Prime Eligibility: Products are eligible to be marked with Amazon Prime status. Amazon Customer Service and Returns: Amazon will personally handle all customer service requests and returns on behalf of each product sold. Am I Allowed to Buy or Sell an FBA Account? It’s a fairly common practice to transfer ownership of Amazon FBA businesses. Amazon understands that ownership of a business could change for any reason, and will facilitate transfers upon request. If you are a seller and would like to sell your online business using Amazon FBA, best practice would be to seek out pre-approval from Amazon Seller Central (Link: sellercentral.amazon.com) to ensure a smooth transaction once the listing is sold. It’s the responsibility of the seller to ensure that ownership can be transferred before listing any business or asset on Flippa. Once you have confirmation from Amazon that your account can be transferred, you’re ready to list your business for sale! How do I Transfer Ownership of my FBA Account? 1. FBA owner calls seller central and gets the store transferred over to the new owner. This method will be the most common practice on Flippa. Once Seller Central has confirmed that you can transfer the asset, you simply need to change the login details to match the new owner. Once this is done, the new owner can then update all payment information, etc. Note: As mentioned, we highly recommend contacting Amazon Seller Central before you list your FBA account on Flippa. 2. FBA owner adds the buyer in the back end and the buyer subsequently updates the details of ownership on Amazon themselves. 3. Brand is transferred, following the brand transfer guidelines. There may be instances where a seller may want to retain the account and they can. In that instance, the products can be transferred to a new account. The seller reviews don’t move across but the product reviews do. Most FBA transactions on Flippa will fall under the first option. No matter which way you plan to transfer your assets, it is essential that you clearly state which transfer process you plan on using in your listing description to avoid confusion. Can I Just Sell an Individual Product(s) Instead of my FBA Seller Account? Of course! That said, you will need to contact our support team (or your account manager if you’re working with our team already) to verify that your brand is registered properly with Amazon Brand Registry and to get your listing set-up properly. Can I Sell an Amazon Merchant Account? For those unfamiliar with Amazon Merchant accounts, all shipping is done by the seller themselves, and not an Amazon fulfillment center. This is more in-line with the standard eCommerce model. If you plan on selling an Amazon Merchant account, it is up to you whether you want to list it in the FBA section of Flippa, or as a general online business in the websites section. Have any other questions regarding FBA accounts? Leave a comment below and we’ll get back to you!